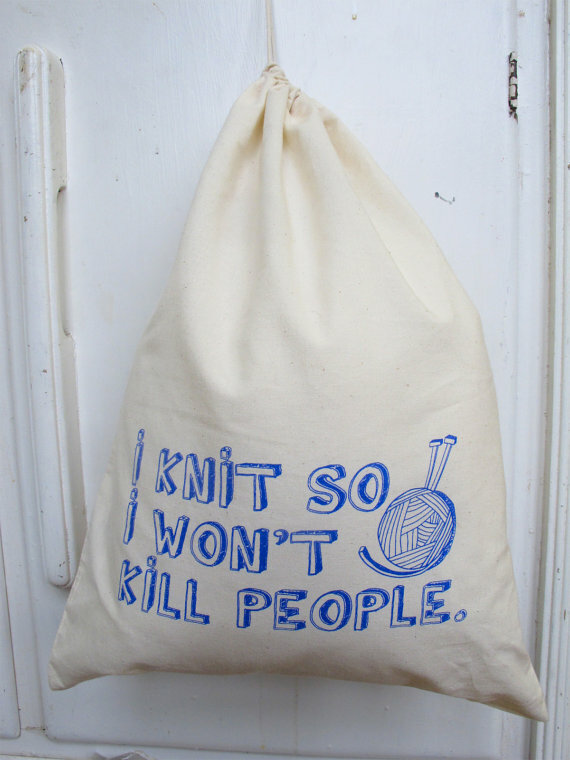 I have to post this cool bag by Astorknot, because what it says is so true. If my day has been challenging or stressful for some reason (and believe me, there has been a few of those recently...) I take out my knitting and it usually helps. Hope it helps you too. For me it would be more like 'Knitting makes me want to kill people'! I would love to love knitting but it makes me angry every single time I try.